For military cartoonists the absurdity of war inspires a laugh-or-cry response and provides an endless source of un-funny amusement. 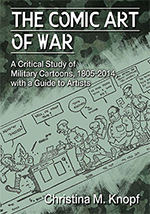 Cartoons by hundreds of artists-at-arms from more than a dozen countries and spanning two centuries are included in this study—the first to consider such a broad range of military comics. War and military life are examined through the inside jokes of the men and women who served. 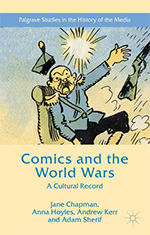 The author analyzes themes of culture, hierarchy, enemies and allies, geography, sexuality, combat, and civilian relations and describes how comics function within a community. A number of artists included were known for their work with Disney, Marvel Comics, the New Yorker and Madison Avenue but many lesser known artists are recognized. 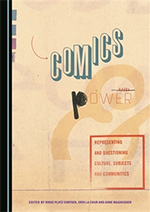 irst in the new series Critical Approaches to Comics Artists, this edited volume explores Sacco’s comics journalism, and features established and emerging scholars from comics studies, cultural studies, geography, literary studies, political science, and communication studies. Sacco’s work has already found a place in some of the foundational scholarship in comics studies, and this book solidifies his role as one of the most important comics artists today. 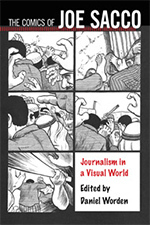 Sections focus on how Sacco’s comics journalism critiques and employs the “standard of objectivity” in mainstream reporting, what aesthetic principles and approaches to lived experience can be found in his comics, how Sacco employs the space of the comics page to map history and war, and the ways that his comics function in the classroom and as human rights activism. The Comics of Joe Sacco offers definitive, exciting approaches to some of the most important–and necessary–comics today, by one of the most acclaimed journalist-artists of our time. 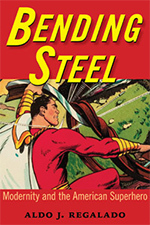 Bending Steel examines the historical origins and cultural significance of Superman and his fellow American crusaders. 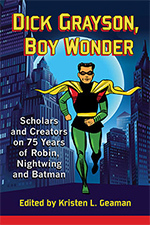 Cultural historian Aldo J. Regalado asserts that the superhero seems a direct response to modernity, often fighting the interrelated processes of industrialization, urbanization, immigration, and capitalism that transformed the United States from the early nineteenth century to the present. Reeling from these exciting but rapid and destabilizing forces, Americans turned to heroic fiction as a means of explaining national and personal identities to themselves and to the world. In so doing, they created characters and stories that sometimes affirmed, but other times subverted conventional notions of race, class, gender, and nationalism.